End of week one in Cancun: Good COP or Bad COP? As the climate talks reach a half way point, everyone is starting to assess the negotiations and the progress that has been made. 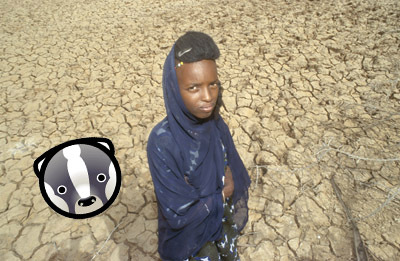 It’s been a fairly frustrating week for Superbadger and the Tearfund team as we are seeing much more negativity that we would like. This year’s summit was being promoted as a ‘stepping stone’ for more significant progress during COP17 in South Africa next year, but so far the negotiations seem to be at a standstill, with many countries such as the US still taking the ‘nothing is agreed until everything is agreed’ approach, which is unhelpful. Let's play a little good COP, bad COP, shall we? Good COP: Forestry talks have been progressing well according to Brazil’s ambassador for climate change, Sergio Serra, who hopes it will help fund safeguards to prevent further deforestation in the Amazon. China have been cooperative in their domestic efforts in cutting emissions, regardless of what other countries are doing, which is fantastic for a developing country. However, they are being very secretive and not being the most constructive player in the negotiations themselves. COP 16 is seeing strong leadership from Mexico, also a developing country, as they attempt to steer the negotiations through rocky waters. In-between: The EU released a report on Fast Start Finance, as posted on the blog a few days ago, which outlined a proposal to inject some quick cash into a climate fund over the next few years, which is great to see. However, there are still some sticking points about where the money is coming from and going to – as a large proportion of the money is being channelled out of existing aid budgets instead of from innovative new sources. So, not bad, but also not good! However, they are speaking out positively on a second commitment period for the Kyoto Protocol, which is good news. 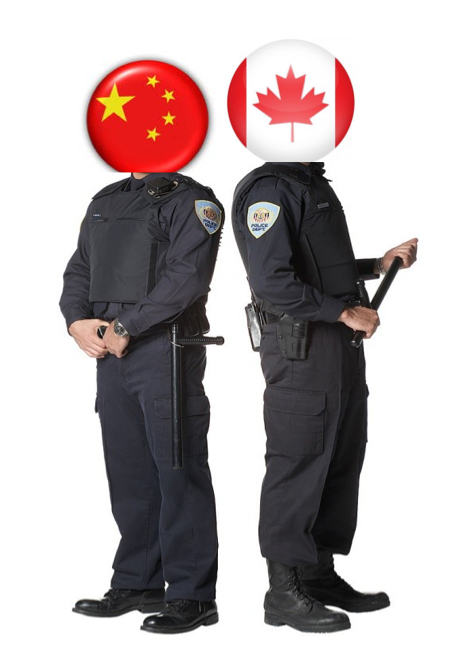 Bad COP: From the first day of negotiations, Japan have been openly opposed to a second commitment period of the Kyoto Protocol, the first period of which was agreed upon by a number of countries back in 1997 and will end in 2012. Without a second commitment period, we could see little to no progress in cutting emissions, which would be devastating for developing countries who are hit hardest by climate change. 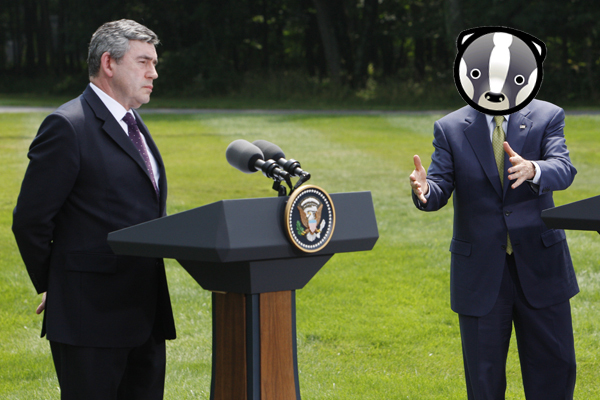 Head over to the Superbadger Action page to badger the Japanese embassy to put pressure on Japan during these talks! On Monday, Canada bagged all three Fossil of the Day ‘awards’, given out by NGOs to countries they feel have done the most to hamper international climate talks each day during the conference. Canada received these awards because after they killed a progressive climate change bill without even bothering to debate it, and failing to have any plan to meet its targets! Canada have been one of the biggest ‘blockers’ for any progress here in Cancun, so we’re hoping they will step up their game for week two, though they have said they cannot act on climate change until the US does! It’s been a bit of a mixed bag of a week here at the talks, so what we really need for week two is positivity, and most of all a fair, ambitious and binding deal that will benefit developing countries and poor communities. Tearfund also want to see more countries agreeing to a second commitment period of the Kyoto Protocol in 2012, because without it, the world could very easily see a sharp rise in global temperature towards a predicted 4 degrees above baseline, which would have devastating effects for all countries. We are also hoping that the fact that progress may not happen during the Cancun talks, does not scupper the chances of getting a fair and adequate climate fund in place for developing countries. Rich countries cannot continue to behave as though they are uninformed of the stark climate realities caused by of years of their industrialisation. As week two gets underway we must start to see more urgency. ANNEX ONE COUNTRY SEEKING TREATY FOR NO-STRINGS ATTACHED HOLIDAY ROMANCE IN MEXICO. Currently struggling with a 13-year relationship, just looking for a good time in the Cancun sun. Likes: Excellent food, movies, comic books, robots and big industry. Dislikes: Commitment, cooperation, compliance, science and targets. Dispensing with the technical terms, this ad is a sarcastic jab at Japan, who today announced that they would reject a second commitment period of the Kyoto Protocol, put in place 13 years ago in 1997, which expires in 2012. If this is not confirmed, there is a chance that there may be a period without any global commitment to cut emissions – which would be catastrophic for the least developed countries and small island states, and of course, eventually the rest of the world. I read your ad with much interest – I am currently holidaying in Cancun and would be open to a no-strings attached romance. But you should also know that I have been, for a few years now, looking for a long term commitment. I am at a (tipping) point in my life where I have a strong desire for a reliable companion to fill a (gigatonne) gap in my heart. P.S Your email address scared_of_commitment@awg.kp does not work – GO FIGURE! Let’s hope this gets some attention! Not fair. Not ambitious. Not binding. After two weeks of UN climate talks, world leaders have failed to reach the FAB deal that developing countries desperately need. After two weeks of negotiations United Nations climate talks have failed to reach the ambitious legally binding deal that developing countries desperately needed. It is not yet clear whether a weak US-led compromise text will be accepted by some countries, notably the EU and the world’s poorest countries. ‘A small group of developed countries and advanced developing countries, such as China, India, Brazil and South Africa have cobbled together a weak political declaration on climate change that will fail to cut emissions significantly or provide enough money for developing nations to adapt and develop sustainably. ‘Instead they have cobbled together a flimsy declaration to plaster over the cracks, which is not worth the paper it is written on. This is not a comprehensive deal, and it is not a deal for the world’s poorest and most vulnerable countries. Many will wonder if they have been sold down the river,’ said Tearfund’s Director of Advocacy, Paul Cook. The loose agreement contains a vague commitment to both keeping temperature rise below two degrees and targets for emissions cuts for developed countries, and little concrete in the way of finance for poor countries. The non-binding declaration promises short-term finance for developing countries of $30billion up to 2012 and $100billion by 2020, but it is not clear that this money will be new, additional or public. 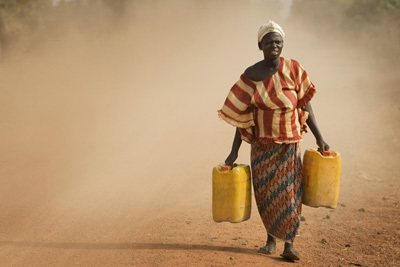 Tearfund believes that finance for adaptation and mitigation to help poor countries fight climate change and adapt to its consequences needs to be at least $200billion a year by 2020 and developed countries must cut their emissions by 40% by 2020, compared to 1990 levels. Tearfund is wary of the fact that some leaders will want to claim that this is a two degree deal, but warns that the low ambition on reducing emissions means that we are heading for a three or four degree world. 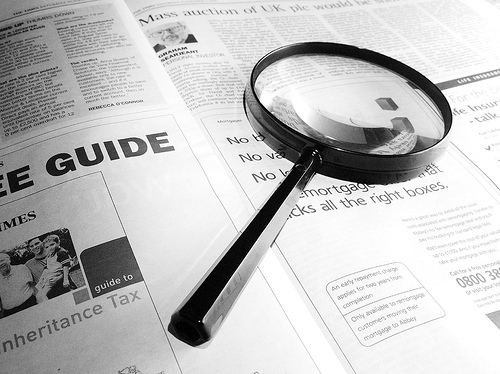 If you want more informtation, click here. Negotiations continue… perhaps into the night. Superbadger will endeavour to report the latest on the talks over the next few hours, and the outcome when it’s announced. Increased security. Hours of speeches. Frantic negotiations. This can only mean world leaders have arrived in Copenhagen! ‘We sincerely hope this high level political will has a domino effect of raised ambition from other developed countries’, said Tearfund’s Director of Advocacy Paul Cook. With two full negotiating days left the aid agency is urging the EU to go further and play a leadership role and drive industrialised nations’ ambition towards reaching agreement on three key areas: tough emissions reduction targets, generous climate finance (additional to current aid commitments) and securing a legally binding deal by Friday. Superbadger will be listening to see what other world leaders have to say. The targets announced so far are not ambitious enough, rich countries must ramp up their efforts – let’s continue to pray for a F.A.B deal to be agreed. With just a few days of climate negotiations remaining we need to see much more progress. There’s no time for stalling. 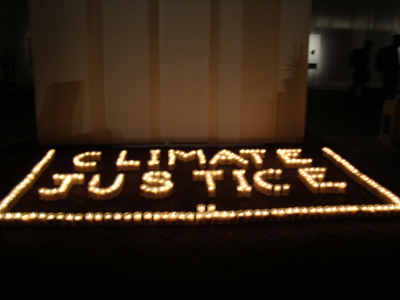 As world leaders knuckle-down in the final stages of the climate talks in Copenhagen, they must show leadership and use their influence to bring climate justice. This is vital if we’re to get a fair, ambitious and binding deal that protects the poorest and most vulnerable people hit hardest by climate change. Who better to push for this than world leaders, including our prime minister, Gordon Brown. They have the power to drive the negotiations forward but this requires leadership. The talks are progressing far too slowly and what’s on the table falls far short of what’s scientifically needed to prevent catastrophic climate change. 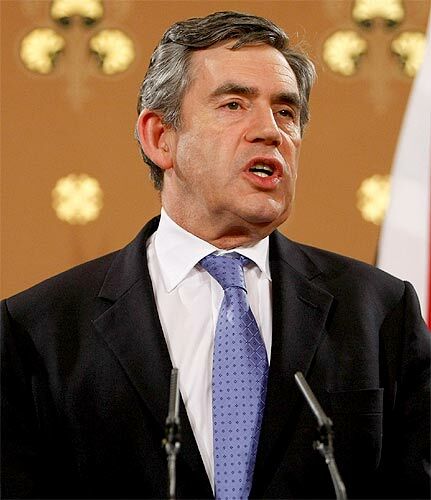 Prime Minister Gordon Brown must show leadership and political will to seal a climate deal that prevents these impacts. You know it by now! Campaign for it. It’s so easy. What we want: at least 40 per cent emissions cuts on 1990 levels by 2020. What we want: at least £200 billion per year by 2020. This finance must be additional to existing aid commitments. Progress so far: Offers from rich countries fall far short of the £200 billion needed by 2020. There is growing support among EU countries for this finance to be additional to aid commitments. The EU has agreed to provide some short term funding (up to 2012) but this money is not new and additional. We need rich nations to champion finance and make offers that are additional to existing aid commitments. If there’s no agreement on long term climate finance there will be no fair deal in Copenhagen. Superbadger, and many other NGO participants, can’t access the climate talks today. As you’ll see from the photo, he’s found somewhere nice to work with his colleague Emily – look out for not one but two SuperBadger actions today here!